#1) This first one I couldn’t resist adding to my list. 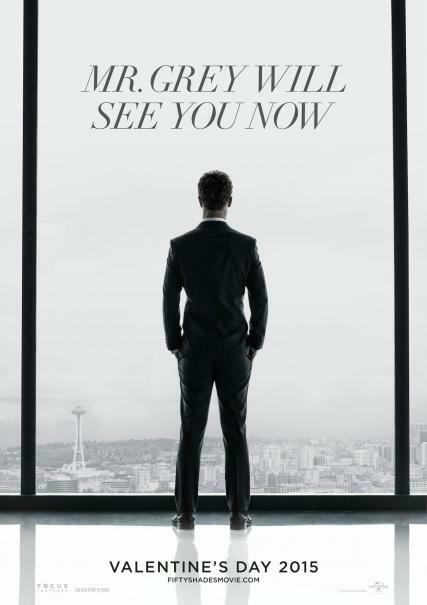 50 Shades of Grey hit theatres in Canada in February. The movie caused just as much as an uproar as the book, and ironically it seems as though all of the critics denouncing the character of Christian Grey has brought even more attention to the storyline. Whether you are a fan or not, both the book and movie have become a pop culture phenomenon which is why a 50 Shades costume is still relevant this Halloween. Head to a home depot, grab all the free grey paint samples that you can get your hands on, tape them to a grey shirt and pants and voila, the easiest costume ever. 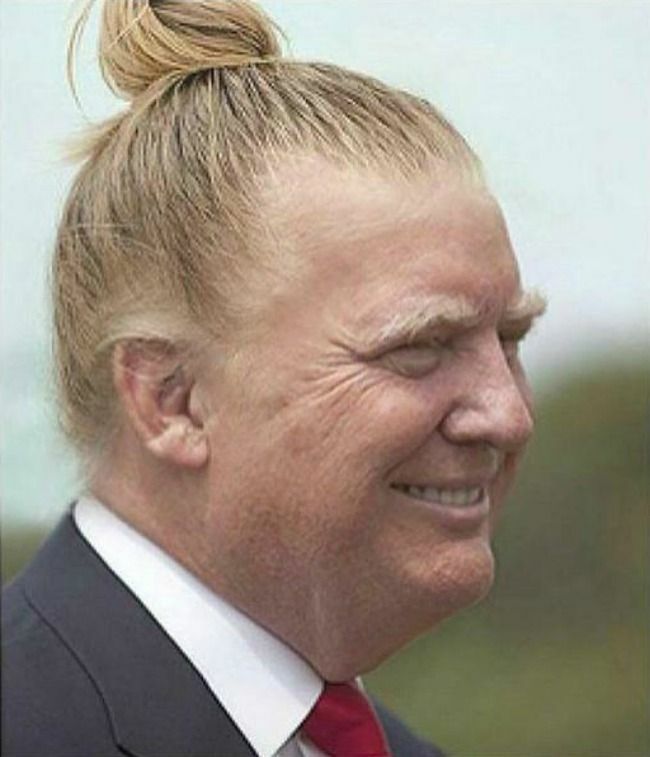 #2) Donald Trump is another one that is obvious; so obvious that I couldn’t not include it. A suit, a bad wig, a red tie and a obnoxious ego are all you need for this costume. 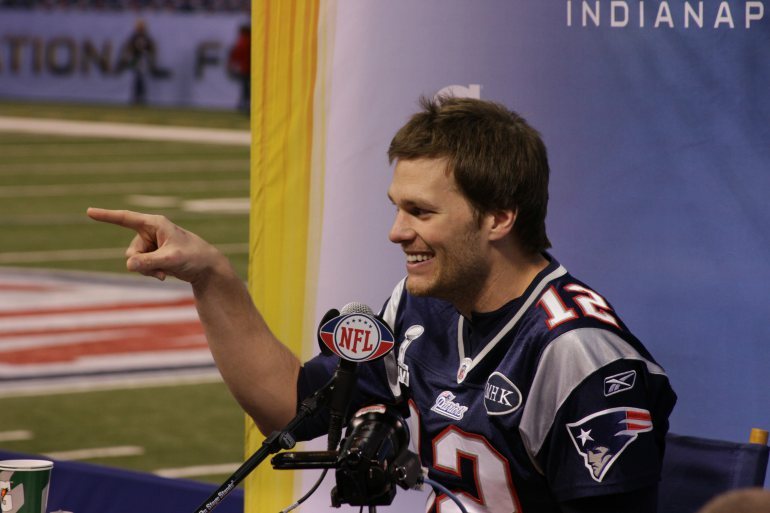 #3) Any sports fan will know all about the Tom Brady/New England Patriots deflate gate scandal. If you want to piss some New England Patriots fan’s off, wear a Tom Brady Jersey and carry around a deflated football and a broken cell phone. #4) This next idea is centred around the internet in November 2014, which makes it totally acceptable for this list since it was too late in 2014 to make it a costume. 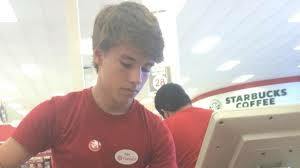 Anyone remember Alex from Target? Alex from Target it the perfect example of how ridiculous but amazing the internet can be. I can’t imagine reporting to work for a shift at a retail store, and by the time the shifts over that night you’re an internet sensation all thanks to a preteen girl with a cell phone. You just need to make a Target name tag to stick to a red shirt for this simple costume. #5) Another internet sensation that blew up after Katy Perry’s Super Bowl halftime show was the adorably awful Left Shark. His choreographed dancing was so bad, he kind of stole the show from Katy. I’m sure there are “official” Left Shark costumes around, but a less expensive version would be to construct a fin out of cardboard and stick it on your back. 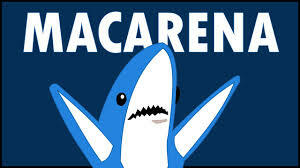 Then to take the costume from typical shark to Left Shark status, draw a arrow pointing left on your shirt. Anyone who watched the halftime show or who has a twitter account should recognize your costume right away. #6) The last one on my list is my personal favorite. 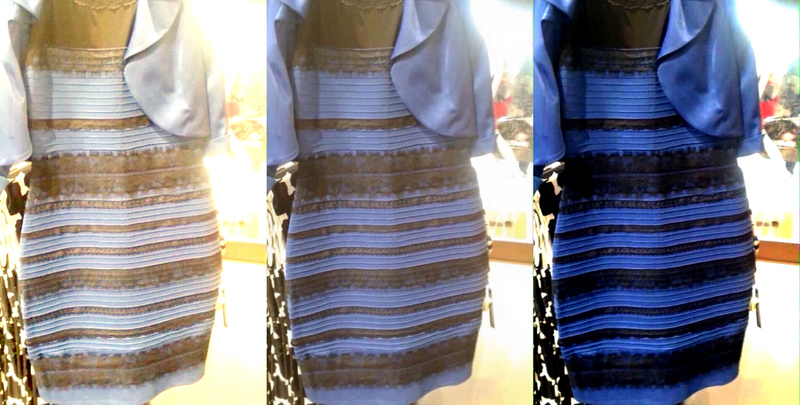 The internet was in a crazed debate over what colors a certain dress actually was. But why discriminate? Please all your friends and keep the Halloween party debate free by taking a simple plain dress and painting one side blue and black and the other gold & white. If you have anymore costume ideas from the past year in pop culture, write them in the comments! I love hearing really creative costume ideas, and you can never have enough options for Halloween.